Today, three bodies. The University of Houston’s College of Engineering presents this series about the machines that make our civilization run, and the people whose ingenuity created them. In 1889, King Oscar II of Norway and Sweden celebrated his sixtieth birthday. As part of the festivities, a much celebrated competition was held — in mathematics. 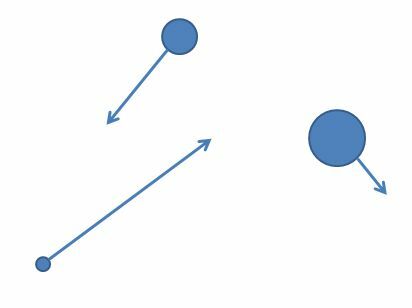 Rising French mathematician Henri Poincaré was up to the challenge, and wrote a paper addressing the famous three body problem: given three celestial bodies — say, three stars in close proximity — describe how they move around one another. More precisely, given their starting position and velocity, predict their position and velocity at any time in the future. Conceptually, the problem’s very easy. Newton’s law of gravitation tells us exactly what to expect. In fact, Newton’s theories led to the whole notion of a mechanical universe; a universe where everything’s predetermined precisely because we can infer where things are going to be. But theory and practice are different animals. Newton had solved the two body problem when he described his law of gravitation. But that was two centuries before King Oscar’s competition. Three bodies were much more difficult than two. Poincaré was brilliant. He won the competition and received his award at a grand ceremony. But shortly thereafter an error was discovered in his reasoning. Poincaré worked feverishly. He removed the error and added a hundred pages to the paper. But he never actually solved the three body problem. Instead, he won the award for “inventive and revolutionary” ideas. And they were. But the decision also avoided a lot of embarrassment for everyone involved. That’s an interesting story in itself. But what’s even more interesting is something Poincaré had stumbled upon that no one fully appreciated at the time — even Poincaré to some extent. Years after the competition, he reflected that “… small differences in [where the three bodies start may] produce very great [differences in where they finish] … [so that] prediction becomes impossible …” Poincaré was the first to recognize the so-called “butterfly effect” — that sometimes just the flap of a butterfly’s wings can totally alter the future. Neither Poincaré nor his immediate successors ever gave the phenomenon a name. It was considered more of a nuisance than a field of study. That would change when meteorologist Edward Lorenz wrote a paper on weather prediction in 1963. He argued that weather can’t be accurately predicted for more than a few days in advance, and in doing so brought the butterfly effect the full attention it deserved by giving rise to a new field — chaos theory. For a related episode, see 652, THE BUTTERFLY EFFECT. The chaotic nature of the three body problem can best be appreciated via animation. One especially good site is www.upscale.utoronto.ca/GeneralInterest/Harrison/Flash/Chaos/ThreeBody/ThreeBody.html. Accessed April 6, 2010. I. Peterson. Prophet of Chaos. November 15, 1999. From the Web site of the Mathematical Association of America: www.maa.org/mathland/mathtrek_11_15_99.html. Accessed April 6, 2010. The three body picture is by E. A. Boyd. 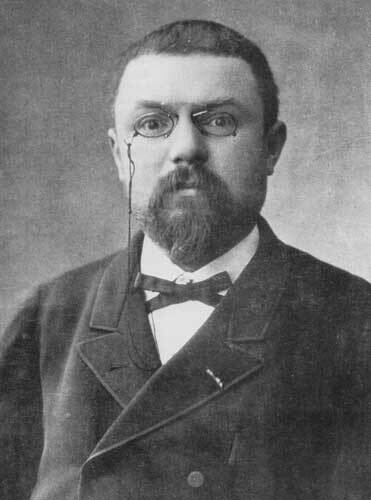 The picture of Henri Poincaré is from Wikimedia Commons.